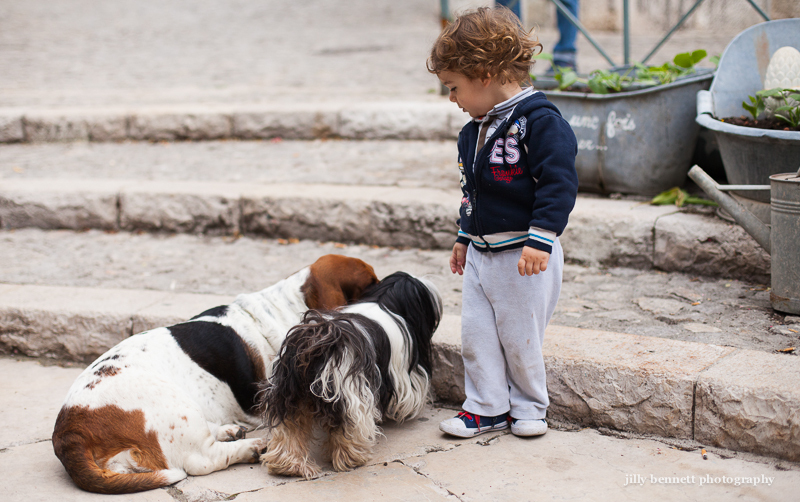 This is the adorable Ylan with Bouchette, the Bassett Hound and Galinette, the Shih-tzu - the dogs of the Restaurant Beausejour in Gorbio. The dogs' names appear in the wonderful Marcel Pagnol books. That child definitely is a star. Hard to upstage dogs, but he has no problem doing exactly that! Love that kid! !